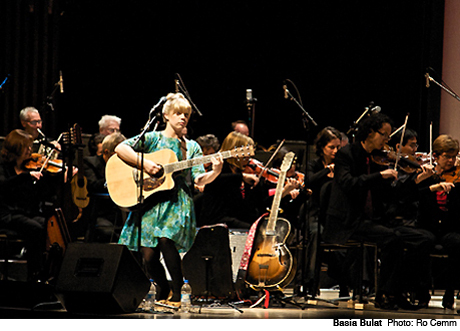 It was remarkable how natural it sounded to have a full symphony playing Basia Bulat's quiet folk songs. With arrangements done by orchestral pop master Owen Pallett, the musicians elevated the already touching songs into new emotional territory, full of the subdued grandeur Pallett is so good at evoking. Even during the solo portions, Bulat commanded the large room, a testament not only to the genuine skill and craft she possesses, but to her humble, authentic person. A tremendous amount of talent was at work in this room, and all of it was displayed so graciously that it was nothing short of inspirational.